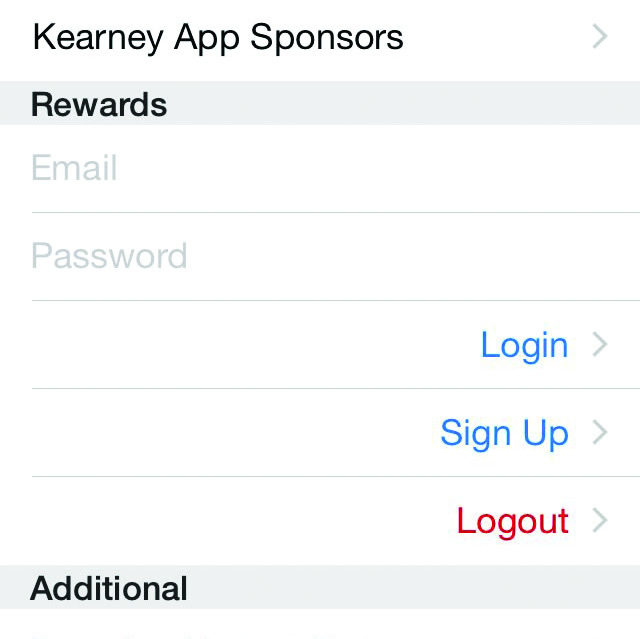 Sign up for Kearney App Rewards. If you were already a Loper Rewards member or a member of Kearney App Rewards, you don’t need to sign up again. Scroll down to the “Rewards” information and click on the “Sign Up” link. This will launch a form. Fill out the form and submit it. A verification email will be sent to you to verify you are the owner of the email address. Make sure you verified your email address. If you ever successfully logged in to either club in the past, you are fine. Otherwise, you can email the Kearney App Rewards administrator if you are having troubles verifying your email address after signing up. Within the app, click on Settings again (the gear icon). Under “Rewards” enter your email address and password. Log in. The first time, you can login right from the Settings. 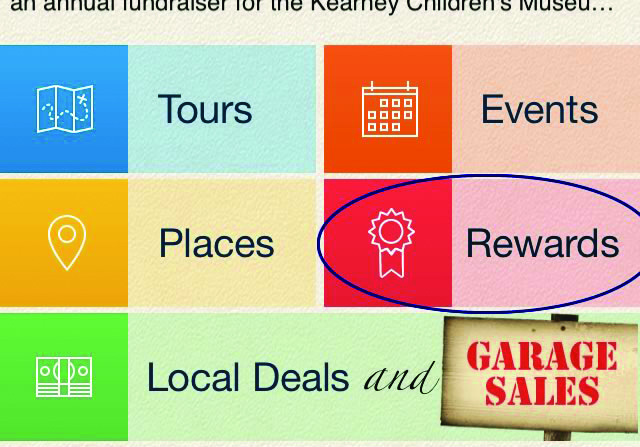 After that, you simply need to press the Rewards Button on the home screen of the Kearney App. If you entered your email & password correctly in the Settings, you will never need to enter your email address and password again! Click the Rewards button on your App once a day and you’ll automatically earn points just for clicking it! Go to games. Explore Kearney. Earn points. Have fun!